One of my favorite designers is Ute Nawratil. I love the way she thinks outside the box (to coin a phrase) and comes up with really intriguing designs and clear directions so others can follow in her footsteps. 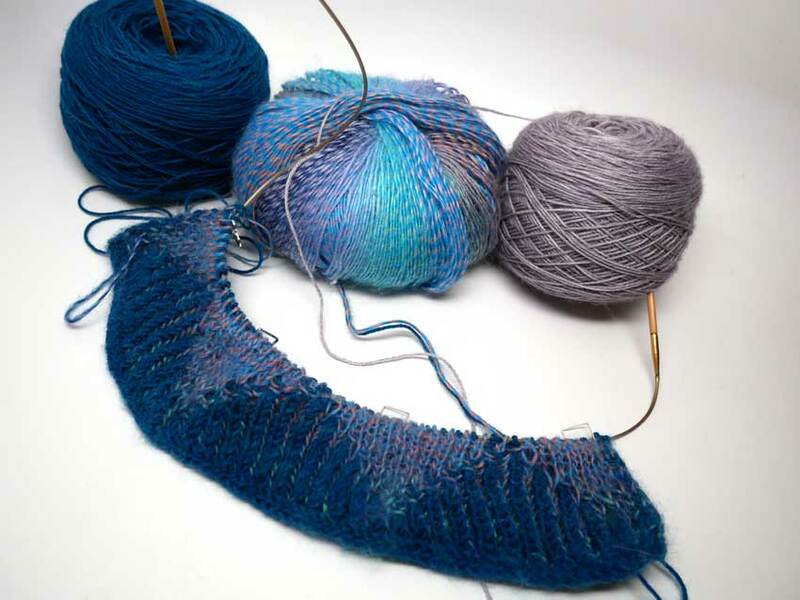 Recently she has been knitting designs that combine two of my current favorites: double knitting and brioche. For my personal knitting, these photos show my beginning of her pattern called A Touch of Magic -- you will notice that there are two sides, both of which look "right" though with reversed colors. There is going to be a third color added (the gray yarn you see in the photos) but I haven't gotten that far yet. This article was published on Wednesday 11 April, 2018.